Since Radhika Jones took over the editorship of one of the most esteemed glossy magazines in the world from Graydon Carter, there's been a seismic shift when it comes to representation and diversity. Graydon had steered the ship for 25 years before Radhika took it over at the end of 2017. I impulsively cancelled my subscription of VF when Justin Bieber appeared on 'print's homepage' in Feb 2010. Admittedly it was a few months to go until I was leaving the country but still, I probably would've waited a few more issues to cut myself off were it not for that cover. A move away from the fact that the publication was previously very white with little to no diverse representation, particularly on its covers. And it became too remarkable not to notice once the special annual Hollywood editions rolled around with their gatefold covers. 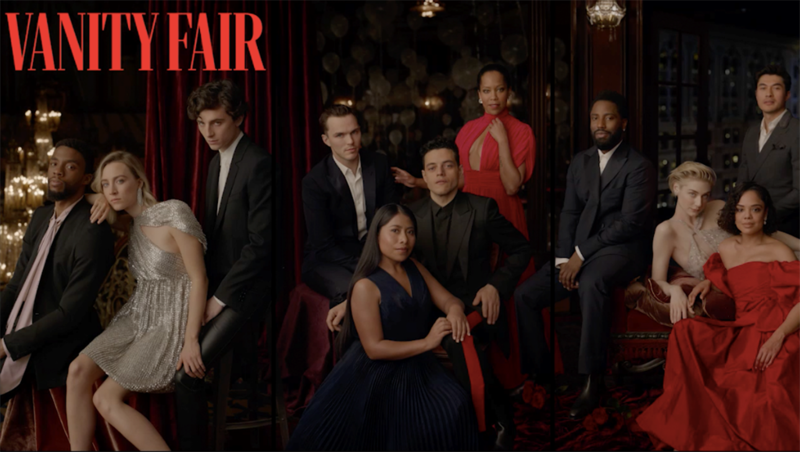 I particularly love the women included and even more so, that Yalitza Aparicio, lead actress from what's in my opinion the best movie of 2018, Roma, is front and centre. She has the bittersweet honour of being the first indigenous woman in the U.S. to get the Oscar nod for best actress. It's a great way to celebrate the magazine's 25th anniversary. Check out the Hollywood issues from then until now.